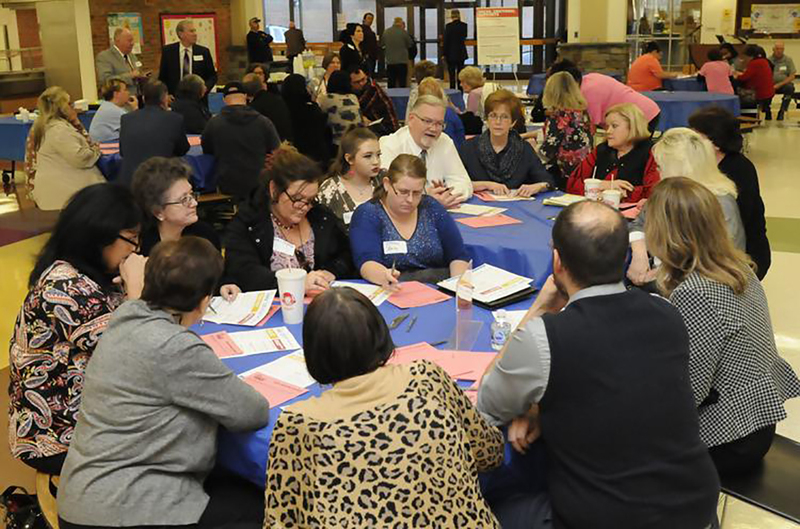 More than 100 educators participate in an education forum at Mount View High School. 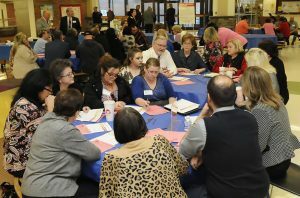 WELCH, W.Va. — About a hundred teachers, service personnel, administrators and legislators converged Tuesday at a Welch high school for the second of eight public forums gathering insights for an upcoming special legislative session focusing on education issues. Teachers and other education personnel met in Mount View High School’s cafeteria before heading to the auditorium for the public forum. Gov. Jim Justice has called the upcoming special session to address questions such as seniority and teachers’ pay. Another forum will be conducted 6 p.m. Thursday at Woodrow Wilson High School in Raleigh County, according to Dave Perry, president of the West Virginia Board of Education. Director of Communications Kristen Anderson of the state Department of Education said Tuesday’s meeting was the second of eight forums being hosted across West Virginia.